It’s no secret that college in America has grown increasingly expensive. In fact, in 1987, William Bennett, then Secretary of Education, penned an op-ed in the New York Times titled “Our Greedy Colleges”. Bennett lamented the increasing cost of attendance at colleges across the country. Since Bennett’s op-ed, the average cost of a private four-year education, adjusted for inflation, has increased from $24,859 to $45,365, a whopping 82% increase. Swarthmore has not been immune from this trend. Over that same time period, the cost of attendance at Swarthmore, again adjusted for inflation, increased by 67%. While increases to room and board stayed just above inflationary levels, tuition increased 73% above inflation, increasing by about 3-4% every year. Over this same period of time, wages for everyone but the wealthiest Americans have stagnated. In fact, a year of college cost the median middle-class family 13 weeks of pay at the time the Board of Managers went to college, but now costs that same family a whole year’s worth of pay. 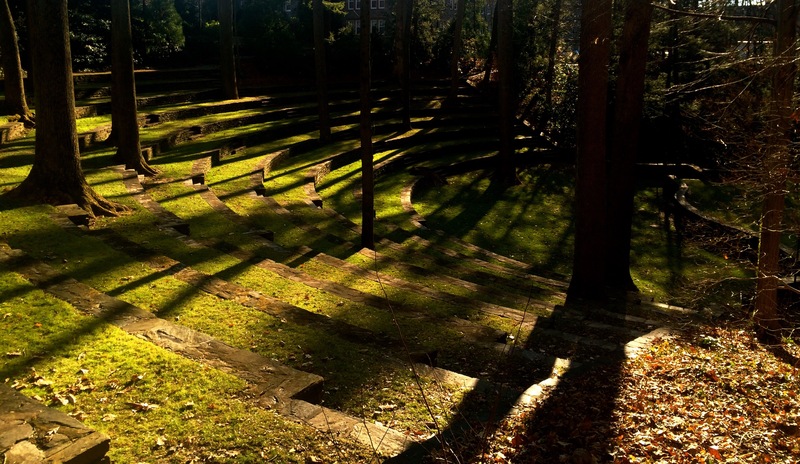 At the current rate, Swarthmore’s cost of attendance will be over $100,000 per year by 2037. What does administration cite as reasons for this increase? Former Vice President of Finance Suzanne Welsh cited the fact that inflation raises the cost of a college education, and a former student on the College Budget Committee said that Swarthmore’s cost of attendance had actually risen below inflation. Many students at Swarthmore also believe that increases in tuition are driven by inflation. However, as noted earlier, increases to Swarthmore’s tuition have far outpaced the inflation rate. Welsh’s citation reflects an oft-cited graph that Swarthmore net price after financial aid, as calculated by the cost of attendance minus average financial aid award, has stayed at level with inflation. While this is technically correct, it can be deceptive for two reasons. First, the percentage of students receiving financial aid has only increased from 49% to 54% since 1999, so for the large percentage of students not on financial aid, the price truly has increased by 67%. Second, the use of average financial aid award as opposed to median financial aid award takes advantage of the skewness of financial aid data. For this academic year, 52% of families of students receiving financial aid were making above $100,000 a year. For families on financial aid that were making less than $60,000 a year, that number is 28%. Essentially, there are far more low-dollar aid awards being given out by the college than high-dollar awards, but because averages are sensitive to extreme values, the high-dollar scholarships Swarthmore offers bring up the average. This means that although the “average” cost of attendance has stayed level with inflation, for the majority of students at Swarthmore, the price has significantly increased. The real reasons for the increasing cost of Swarthmore and other colleges are complex. Economic researchers on the subject remain divided. Some cite Baumol’s cost disease as part of the problem. Baumol’s cost disease states that sectors of the economy in which productivity does not increase still see wage increases because other sectors that share the same supply of labor see increases in productivity. For example, take the population of PhDs in computer science in America. These PhDs have the choice between going to a teach at a university or going to work for Google (among many other choices). While the cost of teaching a room full of students has not changed much over time, the demand for computer scientists has increased significantly, which means the jobs at Google see increased wages. In order to compete with Google, the university raises its wages to attract these same PhDs. Has Baumol’s cost disease affected Swarthmore? To some extent, yes. The average salary for a full-time professor at Swarthmore has increased by 30% above inflation since 1990, and 31 additional professors have been hired. In addition, payments to professors for benefits not included in salary have increased by 44% above inflation since 1999. Most researchers that cite Baumol’s cost disease also support Bowen’s rule. Bowen’s revenue theory of cost flips the conventional notion of supply and demand on its head. The theory, in short, states that under financial strain, colleges and universities avoid cuts at all costs and instead increase revenue. Because the goals of institutions like Swarthmore are “excellence, prestige, and influence”, in order to compete with their peers, they increase tuition and increase expenditures. Indeed, Associate Vice President of Finance and Treasurer Eileen Petula justified Swarthmore’s increased cost of attendance by citing the increasing costs of Williams, Pomona, and Amherst. In essence, by increasing tuition every year, Swarthmore funds an ongoing competition with its peers to gain more prestige. The increasing tuition has buoyed Swarthmore atop college rankings for decades. A look at Swarthmore’s ranking on the US News Liberal Arts College Rankings list over time reveals that, except for this academic year, Swarthmore has fluctuated between the #1 and #3 positions since 1984. Though the ranking has not been without criticism, considering that US News factors in both faculty salaries and financial resources into their formula, it’s hardly surprising higher tuition has kept Swarthmore atop the list. Rankings aside, the value of the endowment increased by 193% above inflation from 1990 until today. So where does our $194,353,000 in revenue go? Of the money not allocated towards financial aid, close to 40% goes towards operating expenditures, of which two-thirds goes to departmental budgets and transfers. This is the money that funds a multitude of activities, including academic support, research, dining, housing, clubs, and campus jobs. The amount of money that goes towards these expenses has increased 63% above inflation since 1999. Some of this is due to increasing involvement in STEM majors, especially the Computer Science Department, and thus the budgets for these departments grow in size. This increase in size is not offset by cuts to other departments because the aforementioned Bowen’s rule dictates that colleges will avoid cuts at all costs. Thus, the total amount of money allocated to academic departments grows over time. Another $35,017,000 goes towards staff salaries, a number that has risen 47.5% above inflation since 1999. While information on staff salaries is not accessible as information on faculty salaries, it is worth noting that out of the 71 new full-time employees Swarthmore has hired since 2012, 48 have been full-time staff, not faculty. Of these 48, 11 have been in “Student and Academic Affairs” (i.e. academic deans) and 11 have been in “Management”. Yet, while hiring many full-time non-faculty employees, Swarthmore has been unable to hire enough professors to meet demand for classes in the Computer Science Department. Close to $40 million went towards financial aid for this academic year. Compared to its peers, Swarthmore has stayed just above the average percentage of the operating budget used for institutional grants, a number that has increased over time. In fact, for this academic year, Swarthmore increased the amount of financial aid given out by the college by over $5 million. However, one of the criticisms of the sliding-scale subsidy model is that it misses families that are just outside the reach of subsidies (or don’t receive enough), who are financially better off than low-income families but still can’t afford college without subsidization. This often means that students from families trapped in the middle end up choosing in-state public colleges, or no college at all. One such student, Michael Logue, a student at the University of Virginia, said his college decision was heavily influenced by the availability of a high-quality public education. “UVA is an excellent school, consistently ranking very high for public universities [sic]. As a prospective business student, UVA’s business school ranked very highly,” he said. Molly Magoffin, another such student at the University of Virginia, said cost was the determining factor in her decision. “It made my decision for me. I simply couldn’t afford [Johns Hopkins University]. I want to minimize the time I’ll spend paying off student loans, and UVA is so much less expensive,” she said. Cost played a significant role in Logue’s decision as well, as he also qualified for in-state tuition. “In-state tuition made [UVA] incredibly desirable over Emory [University]…paying over $40k additional a year was not worth [it],” he said. It’s worth noting that UVA’s in-state cost of attendance is not cheap either, at $30,490 per year. Not all colleges use the same financial aid model as Swarthmore. The Cooper Union, for example, grants all of the incoming freshman class a half-tuition scholarship of $21,000. To be clear, this is not to say that Swarthmore should not be expensive. There is a premium for attending a college with the prestige and network of resources that Swarthmore has, and the act of raising tuition is not adverse in and of itself. However, the complexities surrounding tuition increases give rise to a multitude of questions. Who are the winners and losers of tuition increases? Is this model sustainable? Does Swarthmore’s cost act as a barrier to some of the brightest students? How do we see ourselves in the broader picture of affordable higher education in America? These aren’t questions only for Swarthmore students to answer, but for students at private colleges across the country. The Board of Managers declined to comment on this story. Vice President of Finance Greg Brown did not respond to requests for comment on this story. One thing that would be interesting vis-a-vis that quite good linked analysis of the Baumol and Bowen arguments by Dylan Matthews is to see if Swarthmore students would be interested in discussing some of their implications. To some extent the questions you close with are not really the most urgent local questions that follow from those arguments. E.g., winners/losers, sustainability, barriers to desirable/possible applicants, which are all to some extent about the consequences of expensive tuition. It might be instead a discussion like this: would qualified students still find it attractive to be at Swarthmore if some form of cost control designed to counteract either or both of these effects existed? And how would one enact cost control in a way that didn’t end up looking like blanket austerity? (E.g., often when institutions, academic or otherwise, decide to sharply contract their operating budgets, they do it across the board rather than attempt to make distinctions between different kinds of activities–or they do it to the most internally vulnerable or politically maladroit departments or units.) If, for example, this meant a much less responsive residential life staff (including Title IX, etc. ); or far fewer Athletics staff; or slower Facilities services; or fewer lab instructors, tutors, language instructors; or a reduction in tenure-track faculty in some departments or even elimination of some areas of study; or much more aggressive cost-control in lab equipment and labs in instruction; or the elimination of on-campus medical and mental health services; etc. etc., would that be acceptable to current and prospective students? Note too that some of the drivers of these budgets are not merely offering the best possible services with an “experience good” where all the incentives are aligned behind spending every dollar you can raise. They’re also about risk aversion–having adequate services in various areas helps manage institutional liability; they’re also about regulatory compliance in more and more areas where it is needed. So cost-control in some areas that seem dispensable might end up costing an institution money; cost-control in some areas that might seem dispensable might end up exposing the institution to regulatory enforcement and punitive fines. I would be curious if current students could reach some degree of consensus about meaningful cost areas that they believe could be controlled. I have some suspicion that most of you would run into the same difficulties everyone else does, that everyone would judge that it’s ok to take an axe to services or subjects of no interest to you personally, but that your own needs and interests are inviolable. The Matthews series also points out that there is relatively little evidence that a prestigious institution that institutes strong cost control actually would lower barriers to middle-income families and retain its appeal to all other students while also retaining its image as prestigious. So it’s worth talking about what we think would be achieved if Swarthmore or a college like it unilaterally pursued strong frugality with an aim of dramatically changing the profile of its affordability, and what else might happen as a result. Thanks for your comment! There really is no perfect system. I definitely agree that qualified students perhaps wouldn’t view Swarthmore that same way if they agreed to austerity measures as harsh as the ones you suggest, and I don’t think the drivers of increasing budget are solely aligned behind spending every dollar raised. But the incentives really are aligned that way. Like even with tuition at over $64k, there is never going to be a shortage of students (and their families for that matter) that are willing to pay that $64k for a Swarthmore education. However, in the long run, as I allude to in the article, there is going to come a point where the model collapses; you can’t raise tuition 3-4% every single year and not think there is going to come a point where a large number of people just say $100,000+ a year isn’t worth it. I think you end up running into the same problems you run into in government when it comes making cuts and raising taxes to reduce the deficit/debt: everyone always wants to cut a program that doesn’t help them personally, or raise taxes on someone else. And once a program is created (i.e., DPA program, Sustainability Office), it becomes indispensable and really difficult to cut (again, not so much different than government). Like I said, there really is no perfect system. As you say, “there is relatively little evidence that a prestigious institution that institutes strong cost control actually would lower barriers to middle-income families and retain its appeal to all other students while also retaining its image as prestigious”. I don’t think strong cost control is the way forward, but I think that /some/ semblance of cost control could be beneficial. For example, instead of just increasing the budget of the CS or physics department, move money from a department with far fewer majors to the CS or physics department. The goal perhaps isn’t strong frugality so much as just slowing down skyrocketing prices by avoiding unnecessary spending. I just feel like it’s a bit unfair for the Board to be charging 67% more than they paid for their #1 liberal arts college education, but obviously that’s not something unique to Swarthmore. Yes. Thanks by the way for being thoughtful about this and for doing some good research in preparation for the article–it does a lot to build a better conversation. I’ve long argued that cost control as a concept is or should be a progressive ideal, not just something we imagine as a conservative ideology. One could imagine it as an ethos suffusing all decision making rather than something that forces us to endlessly threaten to split babies in half to see which parent cares more. Part of the problem, though, is the asymmetry of costs. If we’re not talking compensation/tenure lines but other costs, the costs of the sciences v. the costs of the humanities are almost non-comparable. Cutting 30% of small department budgets doesn’t make up for the big expenses of intrinsically expensive departments, but it does inconvenience the small departments. So you have to figure out some kind of way to talk about cost/benefit–if you just cut what seems small, marginal or unimportant from the standpoint of number of majors/users, you’re often not actually achieving savings that make a difference to the real bottom line but you are harming the range or diversity of your curriculum, or making life difficult for people to no real end. There are some low-cost things at Swarthmore that may be extremely high-impact; there are some high-cost things that are high-impact. But also at a small school, the entire ethos is geared towards saying that even something that just benefits one person might be part of what we distinctively offer, that the moment we start saying, “Well, you’re just one person”, we may be losing something important. My intuition is that if we started thinking about costs in a serious, sustained, ethical way, we might begin to rethink an overall vision of the curriculum and an overall expectation of ubiquitous service–to draw in towards an institutional core. But that involves something more philosophically ambitious on the part of students as well as faculty and staff than seeking efficiencies or looking for vulnerable units to eliminate. A good start would be to ask the administrators to find efficiencies and eliminate some of those expensive administrative positions if they aren’t truly necessary–but that would be asking them to cut their own jobs. I suggest letting current and prospective students discuss and then vote on which areas to cut, or whether to cut at all. Although given the economics, it may not make sense to cut at all. I do think it’s a bit ironic that the only “non-essential” staff at the college are administrators (hence the reason they didn’t have to come in that day we had snow). Since cuts are very difficult, perhaps a more feasible goal at this point is to just slow down to rate at which tuition is climbing, and avoid “unnecessary” spending moving forward. For folks interested in the budget, I would recommend taking the “Budget Essentials” program offered by the Finance Office. I attended last year and it is helpful to understand where our money comes from, what it is spent on, and how budget decisions are made. It is open to students, staff, and faculty. Are more detailed breakdowns of the budget available? Education is really expensive these days. This is why I got a job straight away. Anonymous sources are fake news! Great article though.